The 24 Peaks Challenge encapsulates what the Lake District is all about and compacts it down into a fantastic two day mountain walking experience. Located in the heart of the Cumbrian mountains you will climb 24 peaks within 24 hours of walking during this challenge, covering a distance of over 31 miles in total. On top of this you will gain thousands of metres of ascent, often over uneven and rugged terrain and you'll have to face jarring descents before the challenge is successfully completed. This event is very demanding and places great strain on the body, especially if it has not been properly prepared prior to the challenge. 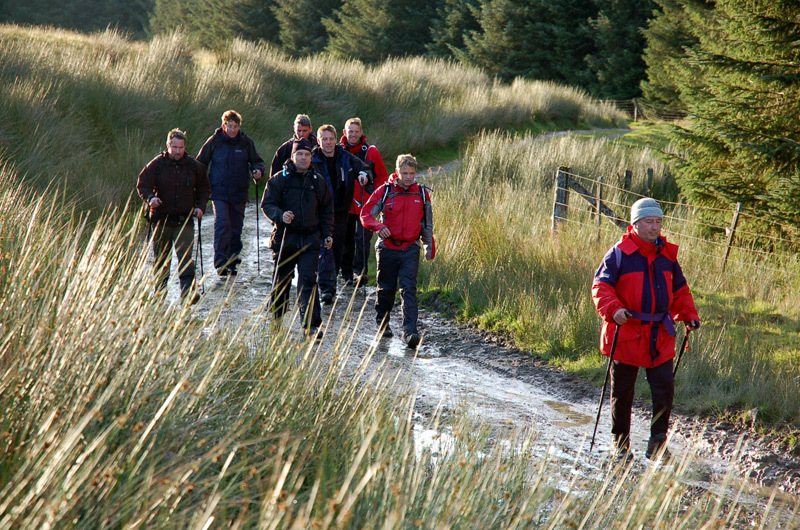 Although successfully finishing the challenge is possible for anybody with enough determination; a high level of fitness and lots of previous training are highly recommended and are absolutely vital for those without prior mountain walking experience. In order to help participants improve their fitness before undertaking this event we offer preparation training weekends in the Lake District and Snowdonia which will give you a sound base from which to seriously attempt this challenge. As with all active pursuits, the fitter you are, the more enjoyment you will glean from the experience and the more you will get out of it as a whole. The sense of achievement that comes with completing a difficult challenge such as this is incomparable and we can guarantee you'll fall in love with the great outdoors! Arrive in the Lake District and spend a night at your accommodation in Keswick. Have an early breakfast at your acoomodation and then the minibus will bring you to Gatesgarth Farm for the start of the walk. You will meet your guide here and receive a briefing about the challenge ahead. Upon completion of the first day's walking you will be transported back to your Keswick accommdodation for a well earned rest. Another early rise and breakfast before being taken to Kirkstone Pass for the second day's walking. Transport to and from the Lake District.